This article by Anna Maxted for the Daily Mail details her personal experience in an Infrared Sauna. Cardiologist Dr Alejandro Junger extols the benefits of the infrared sauna. He says that because infrared heat penetrates deeper into the skin than heat in a traditional sauna — up to 3in — ‘it mobilises and burns fat’. It’s also proven, Dr Junger says, to benefit musculoskeletal ailments, aid heavy metal detoxification, increase blood flow, and boost the immune system’s cell activity. Dr Junger, author of the book Clean, adds: ‘Infrared saunas stimulate your metabolism by elevating your heart rate much like exercise, so expect to burn off anywhere between 200 and 600 calories.’ This estimation is for a 30-minute session and is influenced by factors such as body weight — the heavier you are, the more you’ll burn. Whereas traditional saunas heat air temperature to 70c or higher to heat the surface of our skin and make us sweat, the IR sauna uses the heat of infrared radiation (essentially the heat of sunshine but with harmful UV rays filtered out) to penetrate the body directly to a depth of several centimetres. 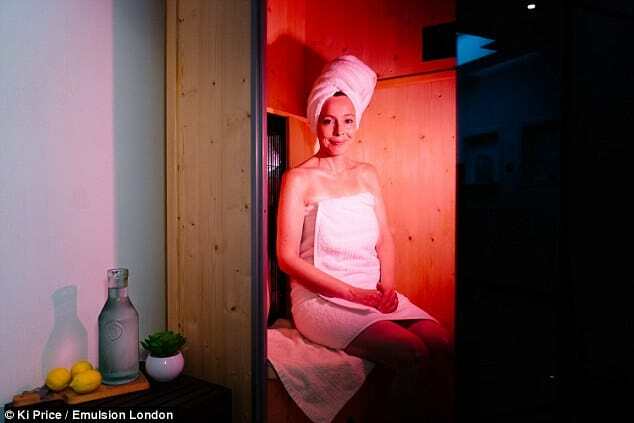 InfraRed saunas are not suitable for pregnant or nursing women and people prone to dehydration, suffering from an infection or recent, swollen injury, have artificial joints, or suffer from a disease such as hypertension, cancer, or multiple sclerosis. Unlike Anna Maxted, who had to travel to her local gym to trial the sauna, you can enjoy an infrared sauna in the privacy of your own home. Modern technology and manufacturing techniques enable us to now provide a high quality infrared sauna for your own use in your home.